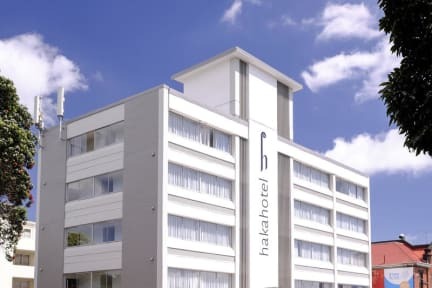 Bringing together style, comfort and hybrid hotel innovation, Haka Hotel Newmarket with a 3 star rating is next-generation accommodation at a reasonable price. All of our rooms and spaces have been thoughtfully designed to best provide for a wide range of travellers. Free Wi-Fi, shared work space and executive mattresses will make your stay just what you need. 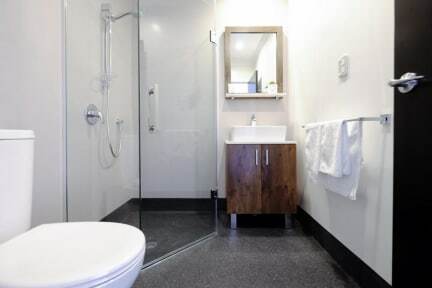 Each style of room at Haka Hotel Newmarket blends a touch of luxury with style and comfort. We understand today’s travellers, and we’ve created an environment to meet your needs. Private studios and deluxe bunk rooms alike have cutting-edge room technology and executive mattresses to make sure you get the rest and break you deserve regardless of your budget. Shared spaces allow you to get your work done and host meetings without worrying about finding somewhere offsite. Just book, arrive and unwind – we’ve got you covered.